Spring, apparently, has been delayed this year in the British Isles, and the forecast for the next month, we are told, is chilly. 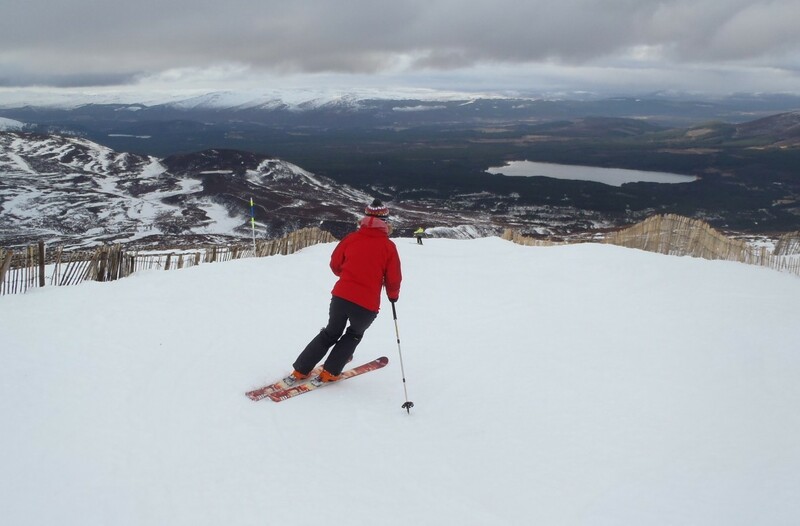 This might be bad news for heating bills, but it’s good news for Scottish skiing. In general there’s excellent cover – which, with the cold temperatures, should last – and open lifts. Bright, settled weather, without much wind, is forecast (more details on conditions at ski.visitscotland.com/conditions/). If you’ve always wanted to ski in Scotland and can get a few days off, now would be a good moment. I’m fairly fresh from my own first ski trip there, during a weekend in February. Why had I left it so long? Well, as I’m a southerner it has always seemed as convenient to travel to the Alps as to Aviemore, Glenshee, Glencoe, Nevis or the Lecht, and a safer bet conditions-wise. But in February a last-minute plan, hatched with my boyfriend, PJ, resulted in a great three-day break. 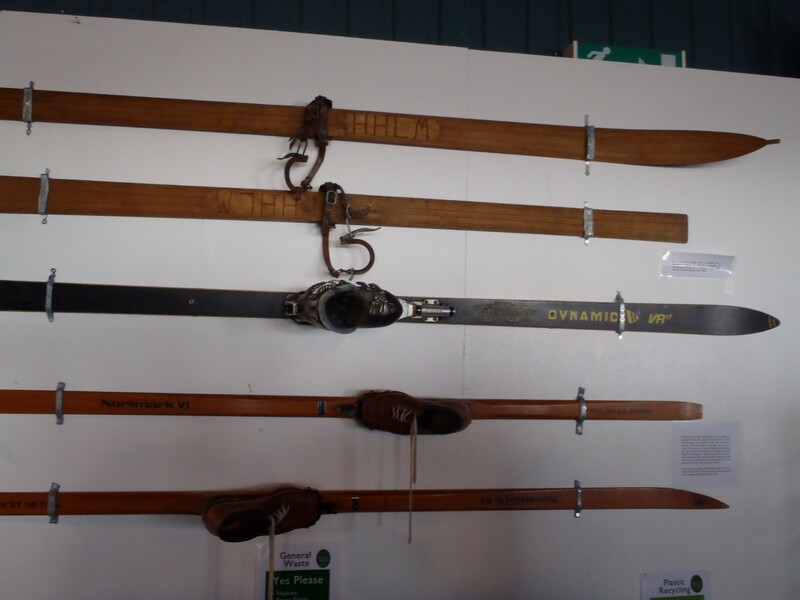 Our main aim was to practise cross-country skiing ahead of the Engadine Marathon, and Scotland seemed a cheaper and handier option than the Alps as it was half-term, and last-minute flights to Europe were expensive. 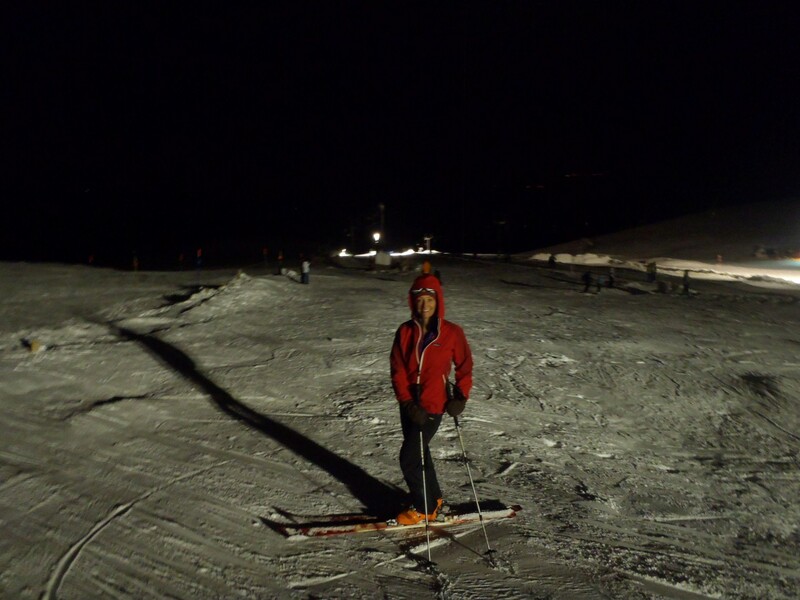 In the event, we also did downhill skiing, night-skiing, ski-touring and walking, stayed in a brilliant hotel and enjoyed amazing food. We threw the plan together two days before setting off – which can be the best approach for Scotland, I now know, because sometimes the slopes are closed for days on end due to high winds. My research involved phoning a Nordic ski centre I’d read about at Huntly, between Aberdeen and Inverness, to check the trails at nearby Clashinarroch Forest had good cover. They did. 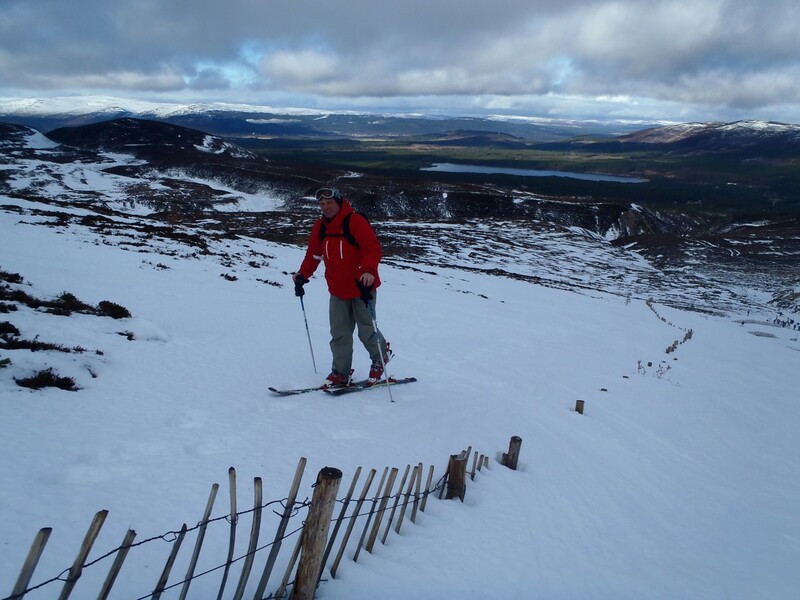 I consulted Ski-scotland.com, which showed conditions on the downhill runs at Aviemore to be promising. I used sites such as laterooms.co.uk, booking.com and Tripadvisor to track down a mid-range hotel between Aviemore and Clashindarroch Forest, and struck gold – for comfort, welcome, company and dining – with Tigh Na Sgiath. I booked myself onto the Caledonian Sleeper and caught it straight from work on a Thursday night, while PJ got to Inverness from the north of England under his own steam and picked me up in a rental car. Under moody skies but in high spirits we drove to Aviemore town, whose main street is lined with outdoor and gear shops, high-street stores, cafes, b&bs and ski rental places. 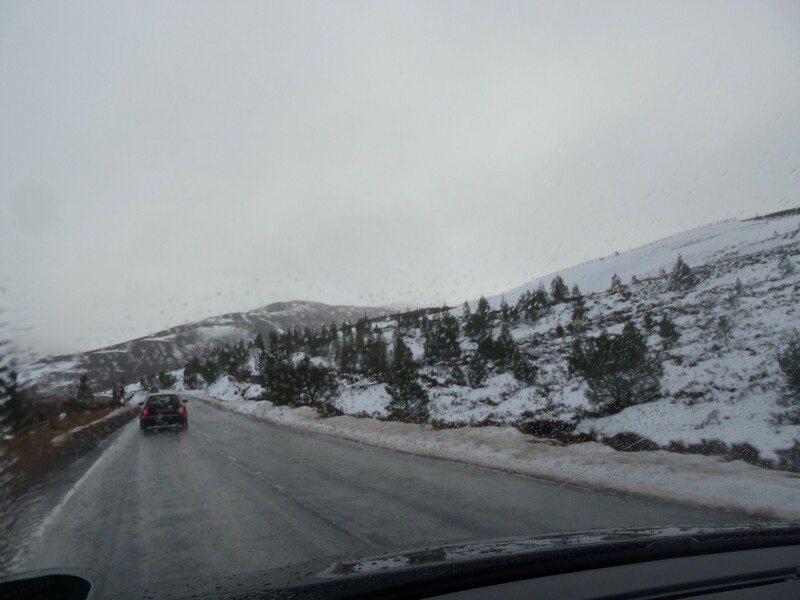 It took 45 minutes, plus a further 20 to the ski slopes of the Cairngorm Mountain which, after several stormy days, had re-opened that morning. 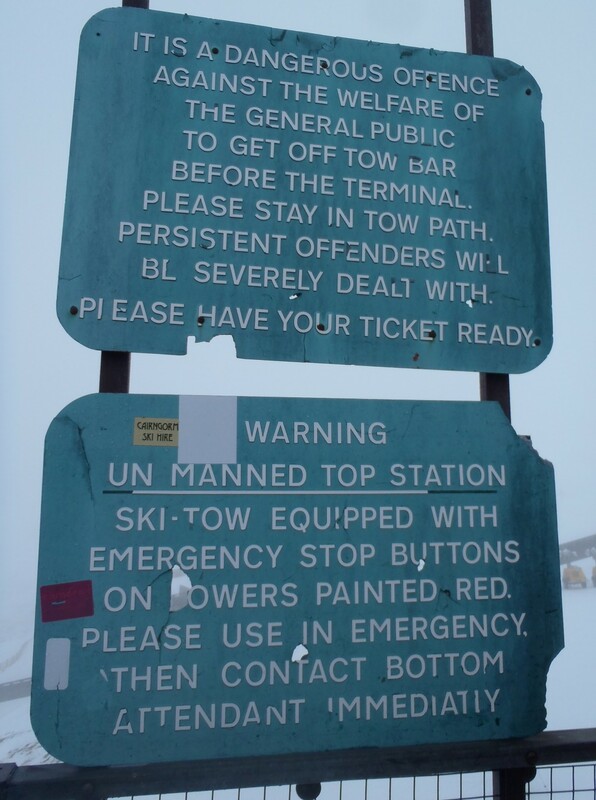 We parked in a lower car park, as the closest one to the base station (altitude 635m) was full. Despite the recent blizzards, swathes of hillside were bare. On the shuttle bus to the base we clocked where much of the snow had been blown – onto the road, on which the snowplough had carved a corridor, leaving towering banks either side. “Funicular this way! Tickets that way! Thank you!” The cheerful official who greeted our busload reminded me of the volunteers pointing newcomers in the right direction in North American resorts. Lift passes cost £32.50 a day – a similar price to many Alpine resorts; 6-16s are £19.50 and tinies are free; 65s-plus and students pay £23.50. 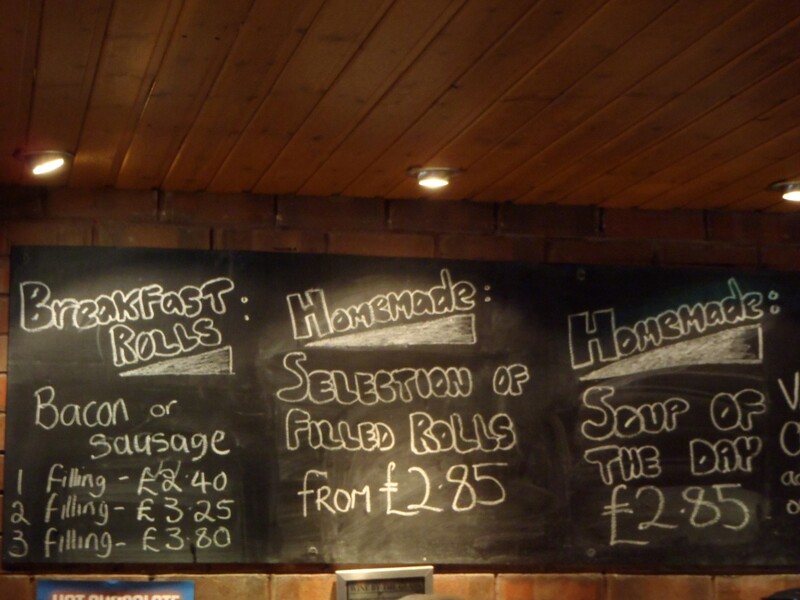 There are various family and multi-day offers, and from 12.30pm the adult rate drops to £21.50. 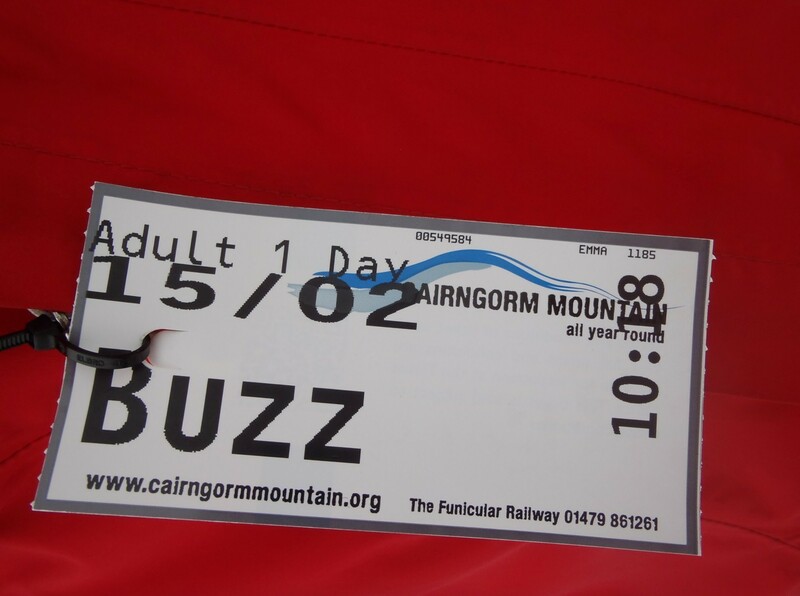 We bought our day passes at the desks by the funicular, but you can buy them in the adjacent ski shop, too, if you’re renting gear. “Those passes lasts till 8pm today!” said the assistant excitedly. We’d struck a rare night-skiing day. 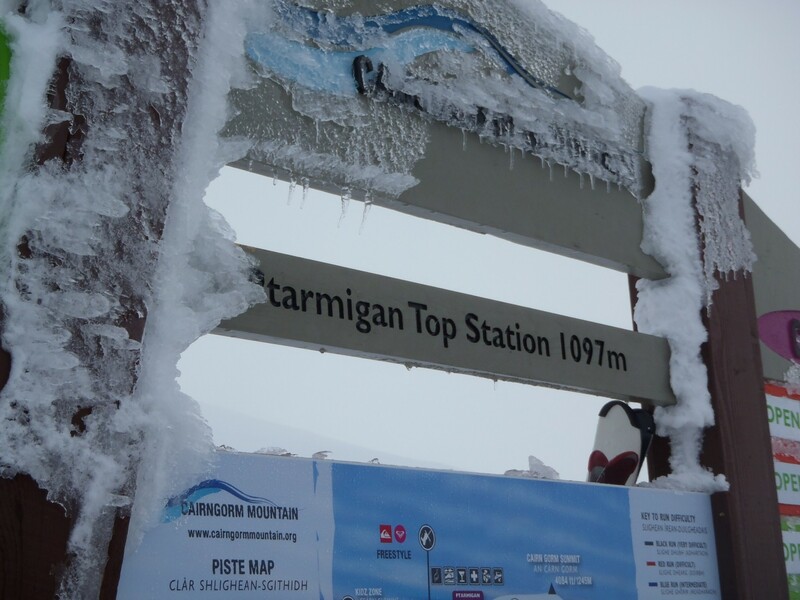 Cairngorm Mountain has 11 lifts and a vertical drop of less than 500m. 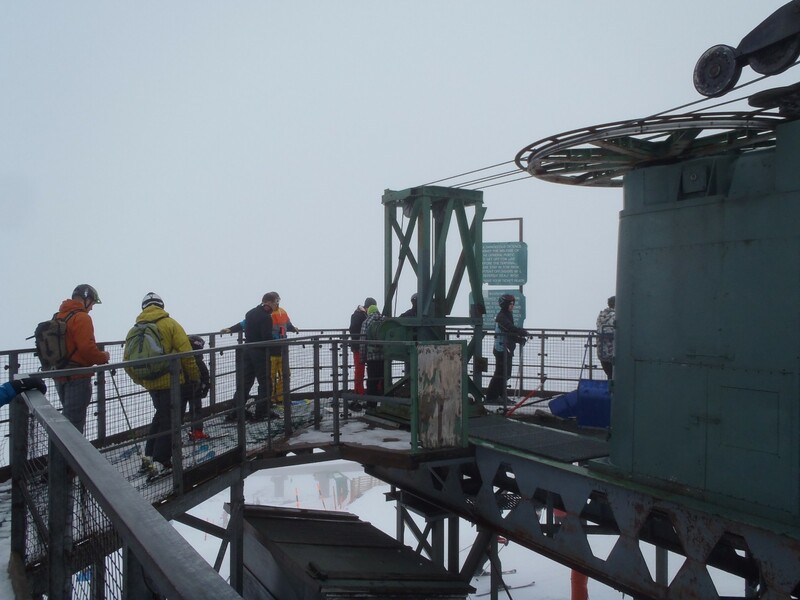 We rode the funicular to the main top station (1,097m, though the T-bars of Ptarmigan bowl, where the night skiing and some of the beginners’ slopes are, go slightly higher). 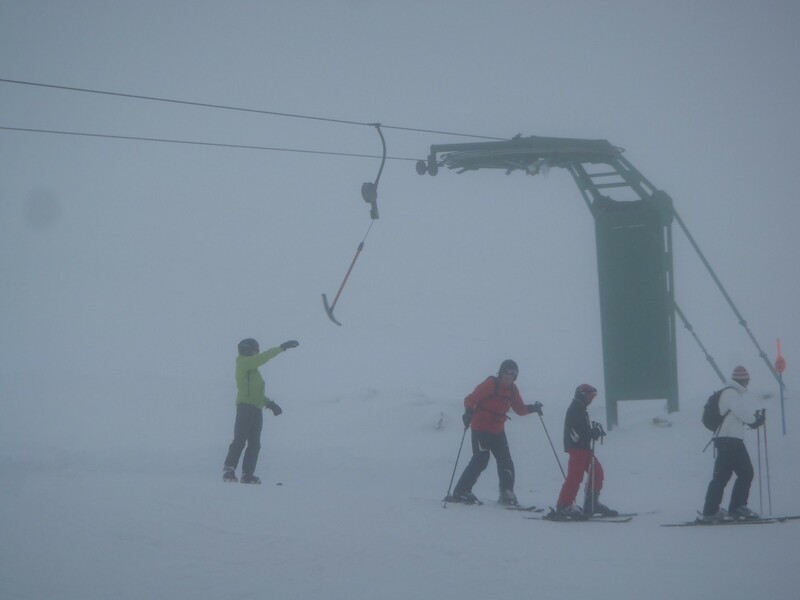 The wind blew and the upper third of the mountain was shrouded in fog as we set off down the White Lady, a red run I had heard of. 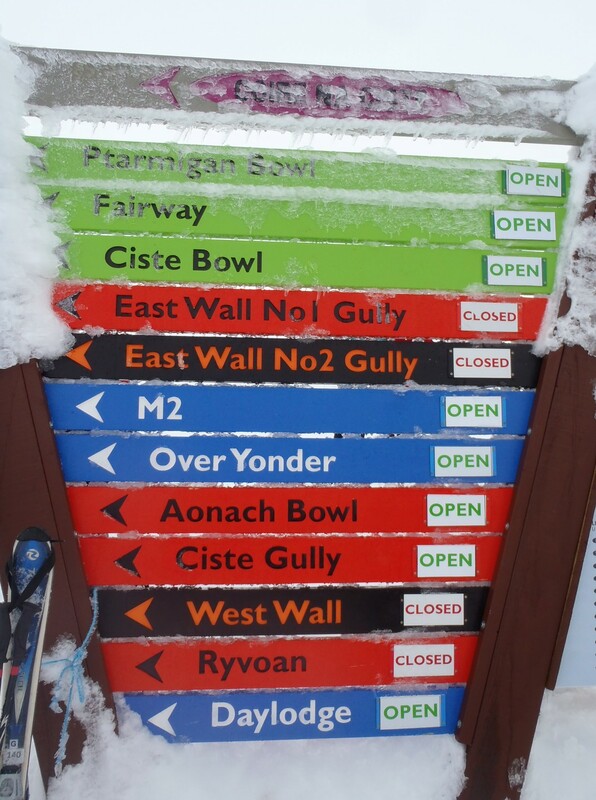 Like many of the pistes, parts of it are lined by wood-and-wire picket fences, effectively placed to “catch” snow and wind-drift. A film of drizzle stuck stubbornly to my goggles – I could see better without them. Lower down we relished the long, grey views towards the Monadhliath mountains, as well as the sight of old-school ski suits (including 1980s Nevica favourites), rear-entry boots and skinny skis. 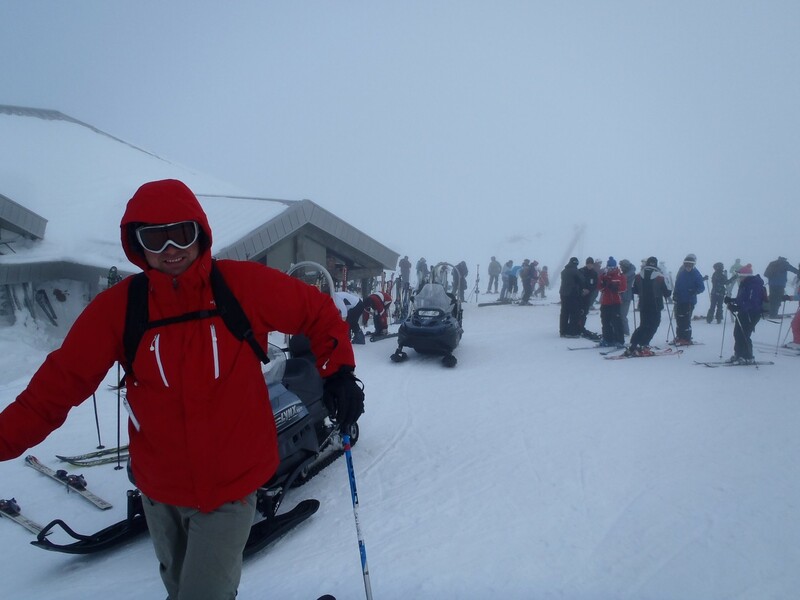 There was a high snowboarder count, a few telemarkers and several groups of mountaineers on foot or crampons trudging here and there. There were a dozen or so people skinning up – and we found out later you can buy a “ski mountaineering ticket” for a tenner – allowing two uplifts, excluding the funicular. We mastered the slowly-retracting T-bars, which mustn’t be thrown away, but handed patiently back to the reel as it circles the pylon. We joined queues even more orderly than those found in North America, overseen by helpful lift attendants. We found a favourite lift, Fiacaill Ridge Poma, which had no queue, being at the edge of the ski area, and accessed a fun stretch of Firn-like off-piste in between rocks. 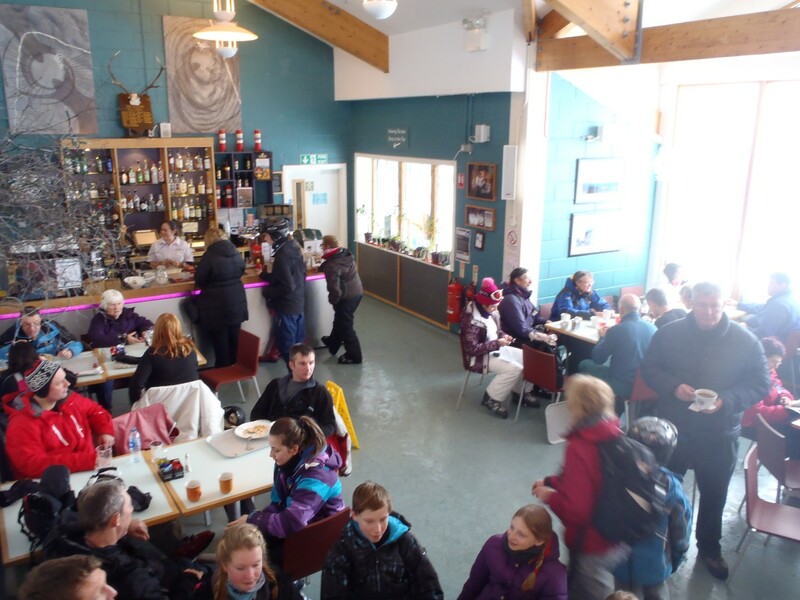 After a few runs, and a quick go on the jumps and tabletops in the snow-park, we had French onion soup at the base-station day lodge; tasty enough for £2.85, and venison burger looked good too. We then skinned to the top of the funicular, via Fiacaill Ridge. At Ptarmigan station we had “gluwine” (me) and a pint of lager (him), and got chatting to a Pole who had come for the day from Inverness and to a Scotsman who had a season ticket (about £300, he said, if you pay a few months before the season). M2, they both said, was the pick of the runs, so that’s where we headed next, and found a scenic, rolling piste on a ridge with dramatic views. Though graded blue and in great condition, it has narrower parts. Half way down I offered to help a girl who had taken off her skis and was carrying them down awkwardly (“I got the fear,” she explained with a grin, but was happy to continue as she was). 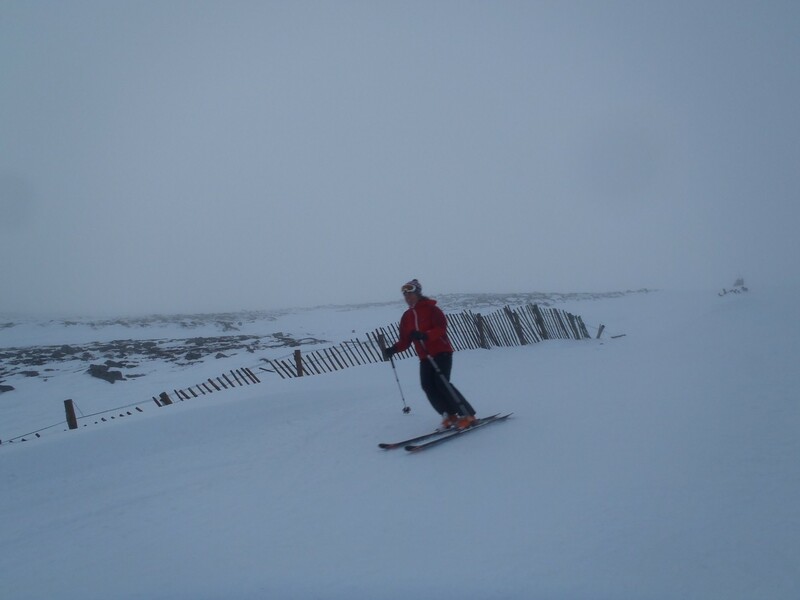 We had an afternoon appointment in Aviemore to pick up some cross-country skis for the next day, so we peeled off towards the West Wall poma (where a couple of black runs are found) and headed off-piste towards where we thought our car was parked – which it was. A couple of hours later, we were back, layered up for night-skiing on Coire na Ciste T-bar at the top of the funicular, where portable floodlights were rigged up on a green run. The queue was a chilly 10 minutes so we only managed three circuits before bailing out at about 6.45pm. This was only Day One – and I haven’t even told you about the cross-country skiing at Clashindarroch, which was excellent. I’ll save it for a future post.